VW of America chief, Michael Horn, speaking at a media event Sunday. He said VW now has quicker decision-making. DETROIT (Reuters) -- Volkswagen Group will announce today that it is expanding its goodwill diesel emissions compensation program in the United States to tens of thousands of owners of larger diesel vehicles, the company's top U.S. official said. Volkswagen Group of America President and CEO Michael Horn said VW will announce the expansion of its program that provides $500 in cash and $500 in credits at dealerships to owners of its 2009-2016 diesel VW Touareg SUVs. Horn was speaking on Sunday on the sidelines of an eve-of-show media event here. VW said in November that it was offering the compensation for 482,000 owners of 2009-2015 2.0-liter diesel cars. Horn said on Sunday that more than 260,000 owners have signed up - or more than half - and 130,000 have already been paid. But it didn't extend the compensation to larger vehicles involved in a related emissions issue. In November, VW also admitted it failed to disclose emissions controls in about 80,000 3.0-liter SUVs - including the 2009-2016 VW Touareg, 2013-2016 Porsche Cayenne and 2014-2016 Audi A6 Quattro, Audi A7 Quattro, Audi A8, Audi A8L, Audi Q5 and 2009-2016 Audi Q7. That allowed vehicles up to 9 times legally allowable pollution levels. An Audi spokesman said on Sunday a similar goodwill program is planned for its 3.0-liter vehicles. Expanding the compensation program could add as much as 80,000 vehicles and $80 million to the compensation program if Porsche and Audi expand the program to all larger diesel vehicles. Horn told reporters on Sunday that the portion of VW owners that have complained or sought buybacks is "minimal." He said VW polls at least 1,000 owners every two weeks to gauge how consumers are reacting to the emissions scandal. Horn said he didn't expect U.S. sales to rise in 2016 - after VW brand sales fell 5 percent in 2015. 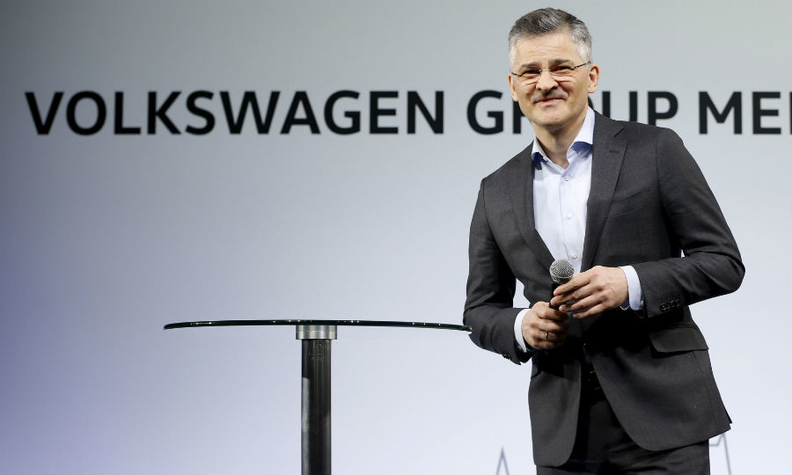 He said things have changed at Volkswagen - the world's second largest automaker after Toyota. Horn said he has the mobile phone number of VW CEO Matthias Muller, something he never had with the former CEO Martin Winterkorn, and is getting quicker answers to questions. Horn said it took VW's management team in Germany two weeks to approve the $1,000 U.S. goodwill compensation program - something that under the prior management would have taken six months. Muller is meeting with Environmental Protection Agency chief Gina McCarthy on Wednesday, but not to hammer out the details of a fix. That discussion, Horn said, "is predominantly a political discussion and it's not a technical discussion." VW has also hired lawyer Ken Feinberg to create an independent claims program for diesel owners.